MI-BOX works with commercial businesses every day to solve their storage needs. We understand things move quickly and change often in business. We go the extra mile and deliver results for your business. All MI-BOX secure storage centers are locally owned and operated. We understand the importance of delivering fast, reliable service. You can count on MI-BOX for the most reliable storage solutions for business storage needs. 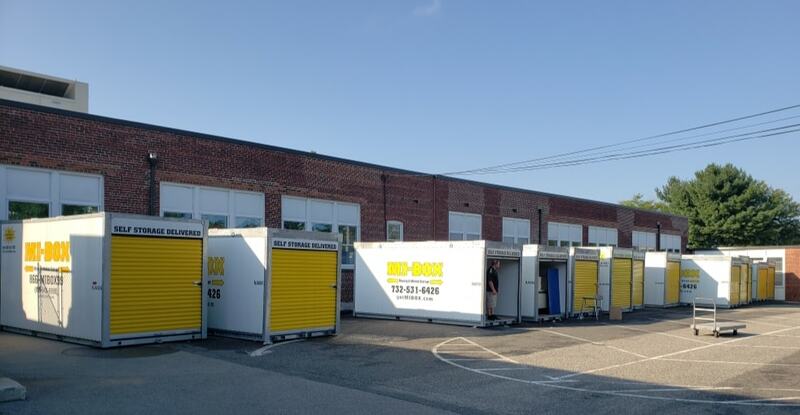 Store your items inside our portable storage containers and keep them at your place of business or inside our climate controlled storage facilities. * All storage containers are kept level during loading and unloading to safely protect all of your stored items. Store seasonal inventory, bulk purchases, extra merchandise or office furniture. Extend your warehouse needs by storing at our storage centers. Scheduling is fast and easy, so contact a local MI-BOX dealer today for the best price and service - guaranteed! Commercial storage space can be expensive. Not with MI-BOX. Rent only the space you need by choosing the size that best fits your needs. We have 8 ft., 16 ft., and 20 ft. commercial storage containers. Keep your businesses clear of clutter and neatly organized and only pay for the space you need. Keep our MI-BOX storage containers on-site at your business or we can store them for you at our secure storage centers. It's a great way to add extra storage space to your business and only pay for what you need. 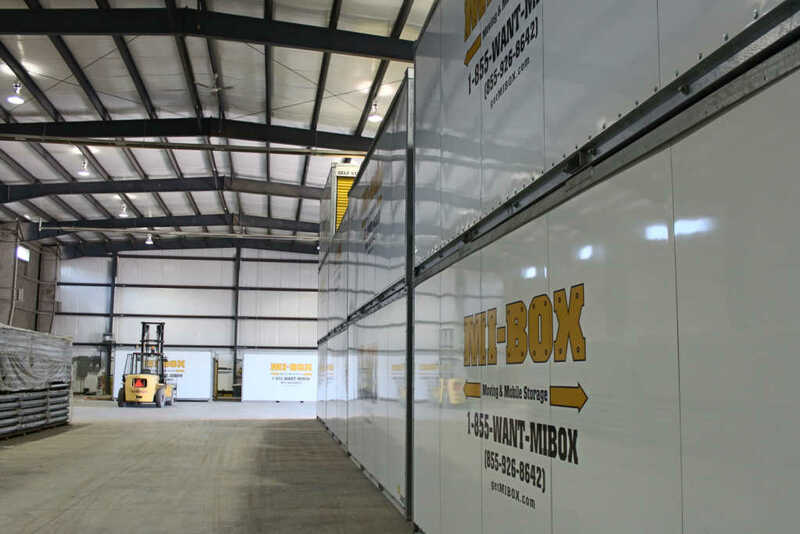 MI-BOX Mobile Storage is great for commercial businesses that are moving or downsizing. Get a head start using our durable weather-resistant storage containers. Get additional flexible storage space to help your business grow without renting more permanent space. Sort through items that will move with your business and store seldom-used items. Stage your business move or do it all in one day. Our professional loading services can assist you or do it all for you. Our complete line of packing supplies makes it easy. MI-BOX makes business storage and moving easy! Work faster and save time. Portable storage containers can be used to store office furniture and fixtures during moves or remodeling. Remove items from your work space and keep them free from damage. Store job materials, tools, supplies and keep a clean work site. Stage materials to keep your job running smoothly and on time. Working in someone's home is always challenging. Restoration companies and remodeling contractors can work more efficiently without worrying about customers goods. Store items out of the way in a MI-BOX portable storage container. Garage remodeling is simple when customers can access items in a MI-BOX sitting in their driveway. Portable storage containers can be used to store office furniture, seasonal items, inventory, equipment and more. Only rent the space you need. It's much cheaper than real estate rental prices. Store at your business for easy access or we'll store it at one of our nearby secure self-storage centers and deliver it back to you when you want. Get the job done faster and easier with MI-BOX. Time is money! Moving a business can be challenging. MI-BOX gives you cost effective storage options. Portable storage containers are delivered right to your business. Keep them on your site and load them when it's convenient for you. Or, have one of our professional packing and loading services do it in a day. Whatever you need, MI-BOX has business storage solutions for you. 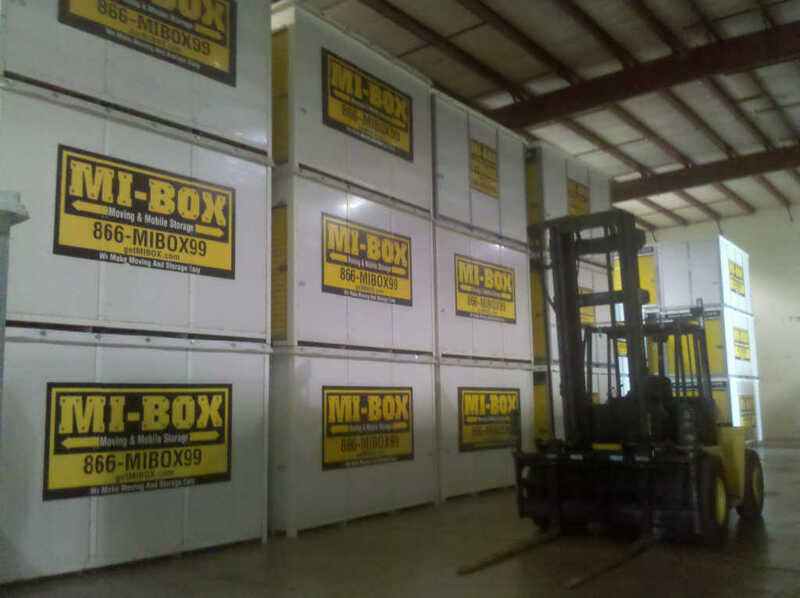 *MI-BOX storage centers are locally owned and operated and services may vary. Climate controlled inside storage is not available at all locations. Contact a local MI-BOX dealer for details.